In the San Antonio area and are remodeling or undertaking a new construction project? If so, you have come to the right place and we thank you for taking the time to visit. 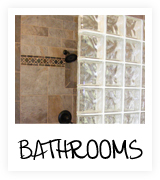 We hope you will find everything you need here to decide to move forward with your remodeling project with our company. A.C.T. Services™ prides itself on years of high-quality service and customer satisfaction. The Texas Residential Construction Commission certified that American Christian Turnkey Services, Inc. has met the statutory requirements as a REGISTERED BUILDER No. 6073 in the State of Texas. Major projects have been completed in both residential and commercial areas. 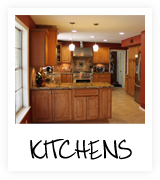 Do you KNOW exactly what you want and need to complete your home improvement project? Your very first decision should be making sure your contractor/builder is reputable, licensed and insured and by choosing A.C.T. Services™, YOU WILL BE GETTING THREE IN ONE!!! We will do everything we can to meet your expectations and help you turn your dreams into reality. With a variety of services to choose from including design consulting, painting and custom renovations, we’re sure you will be pleased working with us. A.C.T. 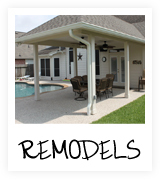 Services™ has proudly served the Houston area for 37 years and the San Antonio area for the past 9 years. Our San Antonio based company has earned the “preferred installer” status with several of the best-known home improvement retailers in the nation. 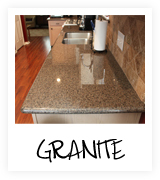 Take a look at our remodeling photo gallery.